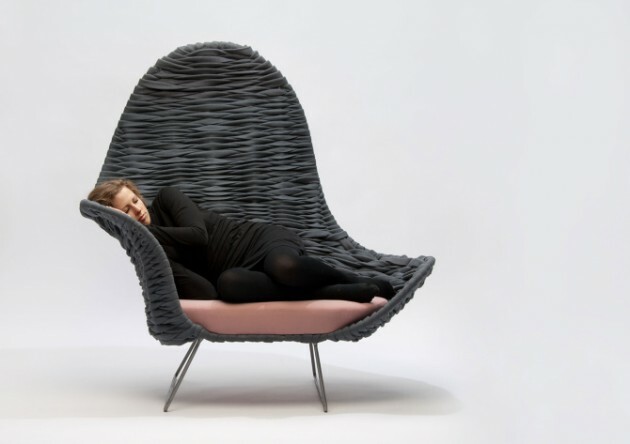 German designer Dorothee Mainka has created an armchair named Armin. The armchair “Armin“ is inspired of the homeliness and “retreat cave” feeling. 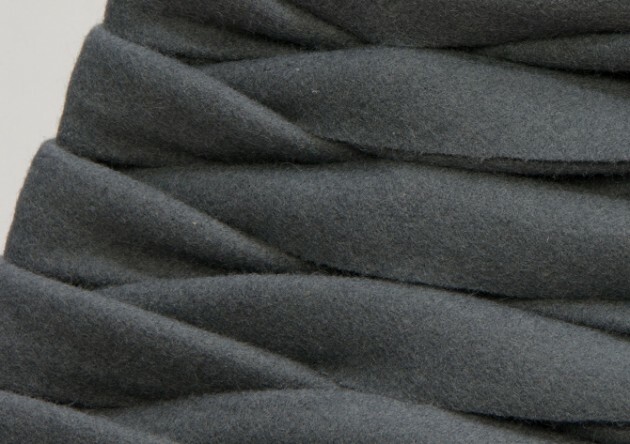 “Armin“ gives you a sense of protection, it is soft, pleasant and comfortable. The shape grows out of a concave curve at the right side to a convex curve or wave in the left side. 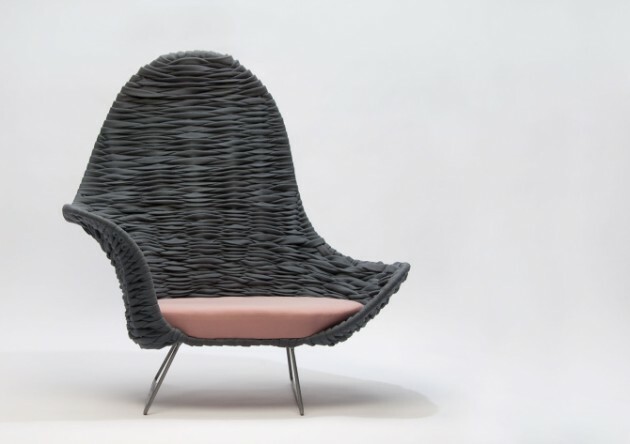 The soft-felt weaving structure hides the metal construction. It gives you many opportunities to sit, you have a optimal dynamic of your human postures. You can recharge your batteries after work, calm down, or simply relax.